At the Extra- ordinary meeting of the Auckland Council on 24 February, the Council voted by 13 to 8 to withdraw the Out of Scope zoning changes. This was a huge win for us and for democracy in Auckland. We have our main hearing regarding residential zoning on 24 March. The main concerns we have, now that the Out of Scope changes have been withdrawn, relate to the generic zoning changes being sought by some submitters to bring back changes on a similar scale to the Out of Scope changes and with the same issues of lack of consultation with affected parties. The scale of the changes at this late stage in the process is unprecedented in New Zealand planning history and is, we believe, an abuse of the process set up for the Unitary Plan. If you would like to support our case you can make a deposit donation to the following account. Labour MP and mayoral candidate Phil Goff said the principle of natural justice meant people affected by changes to the quality of their life or value of their property have not had their voice heard. The council should observe the principle of natural justice in a democracy and let people have a say, he said. 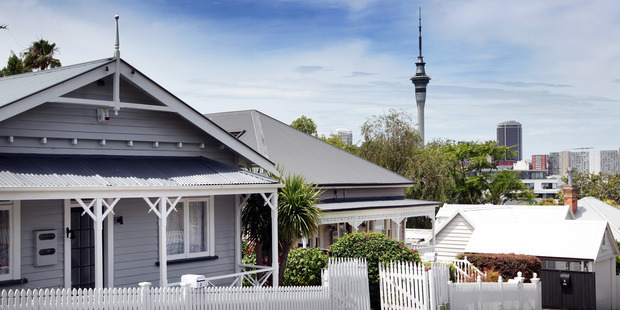 Plans to allow two- and three-storey buildings in some of Auckland’s wealthiest residential streets have prompted a voter backlash and talk of a council backdown. Super City reporter Bernard Orsman explains what is going on. Auckland Council wants to move away from the quarter-acre pavlova paradise to offering Aucklanders different types of housing at different points in their lives. To do this, a new planning rulebook is being written to shape the way Auckland grows for generations to come. It is called the Unitary Plan. Why are some people up in arms about it? At a very late stage of the process, council changed its position to rezone about 20,000 houses in mostly garden suburbs without telling people, who have no formal right of reply. Large areas of Glendowie, St Heliers, Orakei, Westmere, Blockhouse Bay, Panmure and Takapuna were affected. The changes were made behind closed doors and approved by a committee of nine councillors and two unelected Maori Statutory Board members. 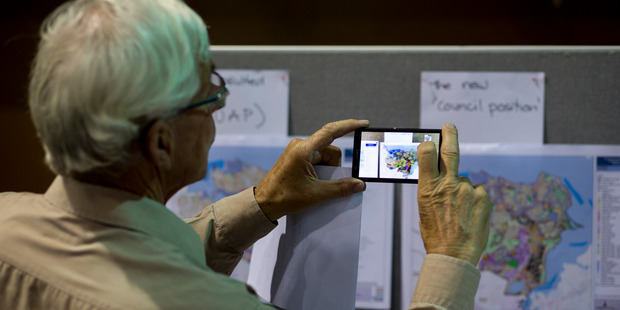 The council decided not to notify affected property owners of the changes, nor advocate for them to have a late say in the Unitary Plan process. It said the final decisions on the Unitary Plan would be made public once it received recommendations from an independent hearings panel. Last week, about 660 people attended a meeting in Kohimarama to hear about the changes - one of the biggest public meetings on a local issue in the past 20 years. Auckland 2040 spokesman Richard Burton said the "radical changes are undemocratic and indefensible". It was not about intensification, he said, but an abuse of process. University of Auckland law school professor Ken Palmer said the urban renewal process was not subject to a sound comprehensive plan promoting sustainable use and wellbeing of the community. "The legality is open to question," he said.Pcouncillors want to re-open consultation with affected property owners. 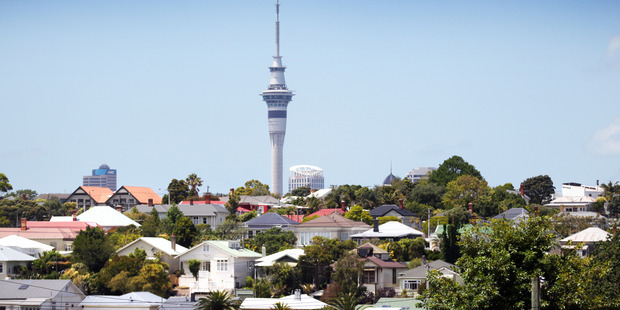 Leading contenders for the Auckland mayoralty are calling for new consultation over proposals to further increase housing density in some areas. An audience of 180 people turned out to a campaign meeting in Ellerslie last night for the mayoral election in October. 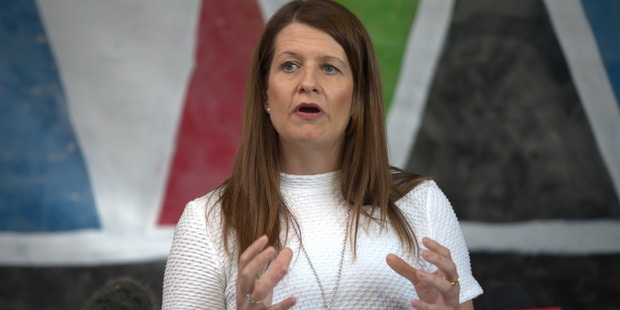 The six declared candidates who fronted - centre-right contenders Victoria Crone and Mark Thomas, centre-left Phil Goff, activist Penny Bright, rates campaigner Stephen Berry and former Green Party candidate David Hay - were meeting for the first time on the campaign trail. Leading mayoral contenders, from left, Victoria Crone, Mark Thomas and Phil Goff on stage together for the first time. All were united in their pledges to improve council finances and contain - or in Mr Berry's case eliminate - rates rises. Most backed a new round of consultation on the city's Unitary Plan, but exactly how was uncertain. Auckland Council in December revealed it would seek higher housing density in some areas than previously signalled when it went before the independent panel considering the city's Unitary Plan. A public meeting last week in the wealthier eastern suburbs drew 700 largely angry residents, and some councillors want to re-open consultation with affected property owners. Moves to rezone thousands of properties for more intensive housing made by just handful of councillors. A handful of councillors approved dramatic changes to rezone thousands of properties for more intensive housing and apartments, according to confidential meeting minutes. The minutes, released to the Herald by the council, show just three councillors and an unelected member of the Maori Statutory Board approved zoning changes for north and south Auckland. Under the "out of scope" changes to zoning, meaning residents did not ask for them in the proposed Unitary Plan, there is no formal right of reply for affected homeowners. The zoning changes drew a crowd of 660 to a public meeting in Kohimarama last week and a majority of councillors are now calling for the changes to be overturned. The changes were made by the Unitary Plan committee, comprising nine councillors and two Maori Statutory Board members. There are 20 councillors on council and the mayor. The minutes show four councillors opposed zoning changes for north and south Auckland - Cathy Casey, Denise Krum, Calum Penrose and Wayne Walker. The changes were approved by three councillors, Chris Darby, Alf Filipaina, Penny Hulse and Maori Statutory Board member Josie Smith, on the casting vote of committee chairman Mr Filipaina. Big turnout to public gathering on proposed changes to increase density in suburbs. Dramatic plans to rezone thousands of properties for more intensive housing face a rocky ride after a public meeting drew a crowd of 660 in Auckland last night. The Herald understands as many as 10 of Auckland Council's 21 councillors and mayor want to overturn the latest zoning changes, and may put the issue to a fresh vote. 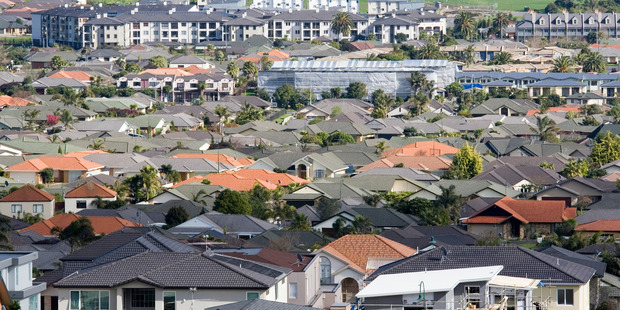 In December, the council announced large swathes of suburban Auckland could be rezoned for multi-storey buildings, terraced housing and apartments in revisions to the proposed Unitary Plan, a new planning rulebook for the city. The latest changes were made and voted on behind closed doors, property owners were not consulted and have no formal right of reply. Last night members of the Auckland 2040 community group accused the council of being "devious" and "hijacking the democratic process", which several residents and ratepayers groups said would change the character of their suburbs.